Interested in going Greek? 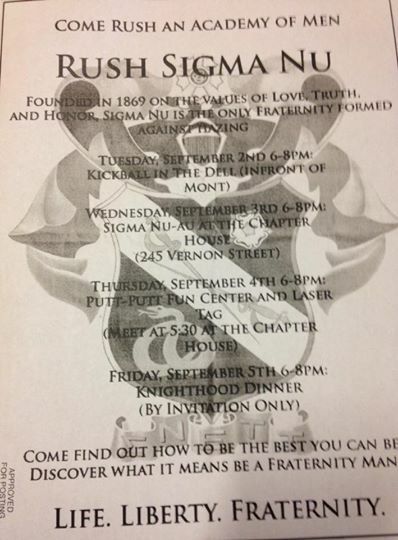 Check out Sigma Nu's rush events. Find your home.